Brother HL-2240R is a model of the laser printer, the middle class, with great potential. Has an attractive design, and high speed printing up to 24 pages per minute. The printer excellent print resolution, 2400х600 dpi. This authorization is sufficient for the implementation of quality printing, any text or images. Is able to print on card stock, transparencies, labels, glossy paper, envelopes and matte paper. 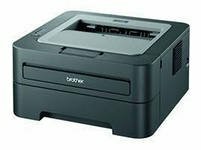 Maximum format that supports a printer Brother HL-2240R is A4.